Skincare goes deeper than most of us think. It is a commitment to an effective routine that enhances our skin. Yes, everyone loves a beautiful skin, but not everyone has found a way to obtain it. I On Youth Collection by Irene Michaels™ is a revolutionized skincare brand with amazing products that will change your skin and make you fall in love with your skin. Irene Michaels has enjoyed a career in the entertainment industry for decades, and as expected she had to ensure that her skin stayed beautiful. She was always curious about beauty and skincare, and she has obtained a lifetime worth of beauty tips from others in the entertainment industry. Irene Michaels experimented with a lot of products, but could hardly get what she wanted. She realized that several products out in the market are overpriced and overhyped, but never really give women what they want. After her experiments, she learned even more and put the knowledge to good use. Now, she gets compliments on how she looked because of her age. It’s wonderful, and she hopes to help other women enjoy beautiful skin too. The wonder ingredient that she has discovered is Hyaluronic acid. Despite the way it sounds, hyaluronic acid is a gentle substance. It is a clear and gel-like substance with significant benefits to the skin. It occurs naturally in the body. The strength of hyaluronic acid does not guarantee that every beauty product that includes it is in fact effective. Irene Michaels tested this theory by purchasing several products containing hyaluronic acid. None of them was as advertised for her skin. 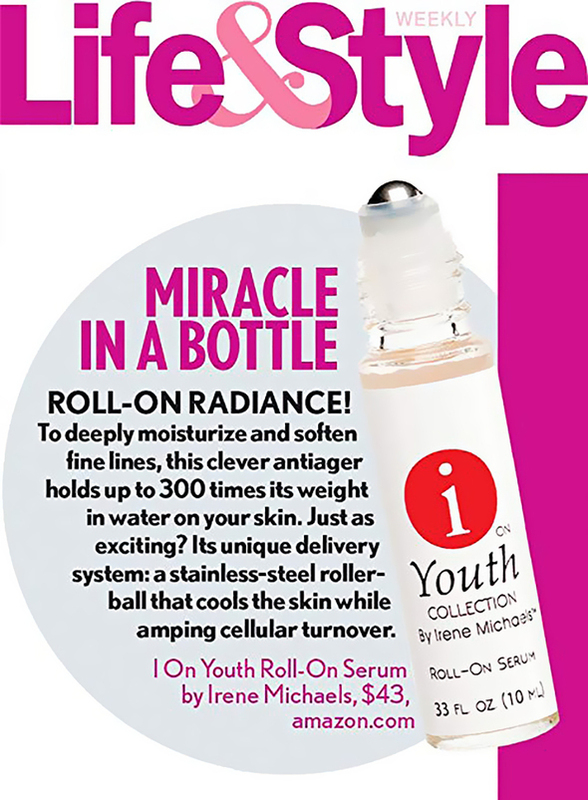 So, finally, she developed her own efficient solution, I On Youth Collection by Irene Michaels™ Roll-on Serum contain hyaluronic acid and is specifically formulated to unlock the benefits of the substance. The serum increases cell regeneration, skin vitality, and youth. It was precisely the beauty product she dreamed of, and she believes it will be the same for other women (and men!). 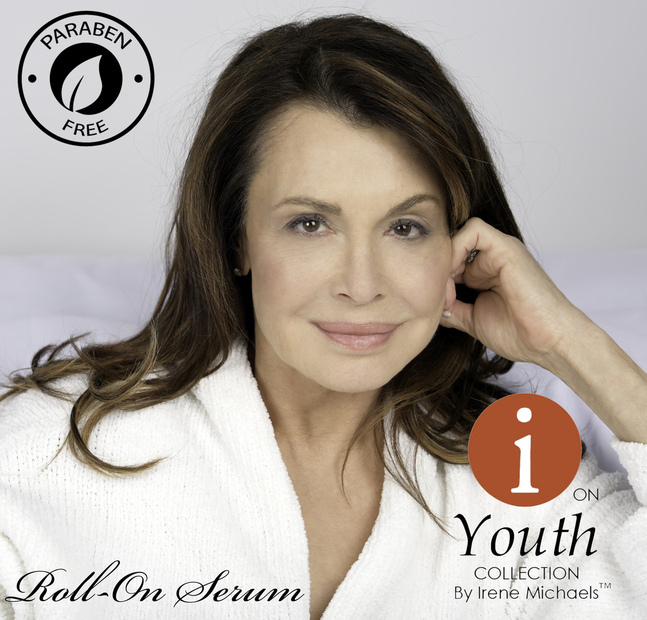 I On Youth Collection by Irene Michaels™ Roll-on Serum is not tested on animals, and it is a cruelty-free product. It’s easy to use with no complications.